I love the delicate colors and lighting of this picture. Beautiful moment captured. What Polaroid camera did you use? 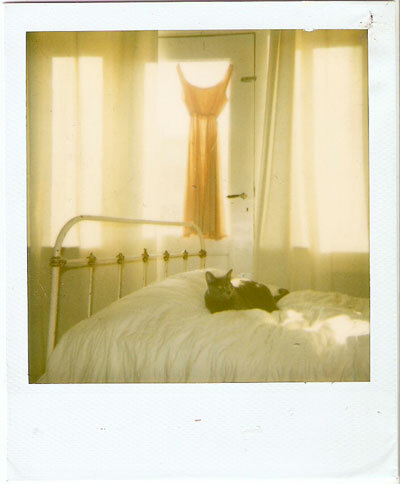 Funny to see my polaroid on you blog! It is shot with a regular polaroid camera, type I don’t know. Using 600 polaroids. To see my cat, Jack is really nice. At this moment I am traveling for a couple of months and really miss him. I got a polaroid in my diary right now as well!